Lot 1 - Looking for privacy? Look no further! This lot offers it all and has its own private barn! Are you a mechanic? Own a boat/jetskis? This is perfect for you! NO HOA!! This lot is perfect for you! 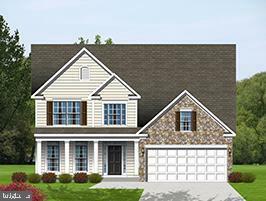 Build a luxury home that features Partial Stone Front; Gas Fireplace; Hardwood Foyer; Low E, Double Paned Windows & more! Incentives incl. granite kitchen counter tops, and Finished Rec Room. $7, 500 pd. closing cost w/ approved lender/title co. Model 145 Thoroughbred Drive, Pr. Frederick. Directions: From Prince Frederick take RT 4 South, right on German Chapel Road, Lot is on Right.